483 days. Almost 1100 miles. That’s how long my running streak lasted before I was forced to give it up. A little over a month ago, while on one of my normal “1.5 mile minimum a day” runs, I had a stabbing pain in my ankle that shot down my foot and scared the hell out of me. I was able to walk on it, but running felt like someone was driving a nail into the top of my foot with every step. I limp/jogged my way through my last half-mile back to the house and iced my foot, hoping I just twisted something in a funny direction and it would be better a few days later. As the days progressed, I still limped and I still ran. Nothing improved, and I had to go back out to Texas for work. Three weeks into my work schedule there (where I was on my feet at least 5-6 miles a day on top of whatever I was running), I decided it was time to seek medical attention before I did something really stupid and permanent to my foot/ankle. The x-rays came back negative for stress fractures (what I feared was likely), but the Doc still was concerned and asked me to treat the injury just like a stress fracture, including 6 weeks of laying off the running, elevating and icing the foot as much as possible, and generally giving it time to heal itself before I screwed it up worse. At one time, I would have said, “Screw it” to such advice, and kept my almost-16-months-streak alive. But older-and-wiser me started considering how I’d feel if I messed something up to the point where I’d be in agony every time I tried playing soccer with the kids, or hiking with the wife, or any of the million of things that are enjoyable but require you to be active on your feet. I decided, as disappointing as it would be to end my streak, it was a small sacrifice to make to get me back to normal. So 483 days. It’s not a bad streak – over a year of running every day. Will I start a new streak when I get back into running? Probably not the same “run every day” type streak – that has proven to be a little too much for my bones to handle. But I’ll still keep running, and I’ll try to remember that each run is a privilage that not everyone gets to enjoy, and treat it as such. Still, it would have been nice to hit 500. Happy New Year! Ok, now that we’ve got the obligatory greeting out of the way, I want to address a topic near and dear to every UVA graduate’s heart: streaking. That’s right, as of today, I’ve successfully run 1 mile or more, for 370 days in a row. That’s every day of 2015 and then some. Hooray for me for keeping alive an unbroken chain of an arbitrary action! I managed to run despite a number of work trips (both domestic and international). I also saw some really amazing things because my streak forced me to get out and run where I might not have otherwise. I certainly can’t forget about the time I ran in Plymouth after a giant snowstorm hit the Northeast. 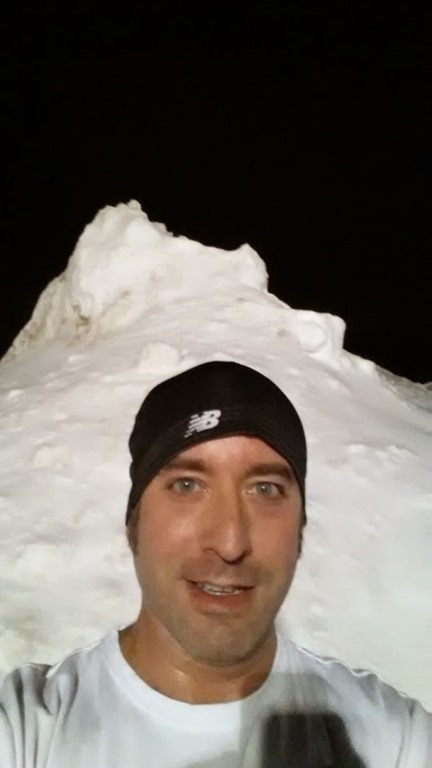 I ended up running laps around a Home Depot parking lot after the plows came through and cleared the snow – it was the only clear path in the area! 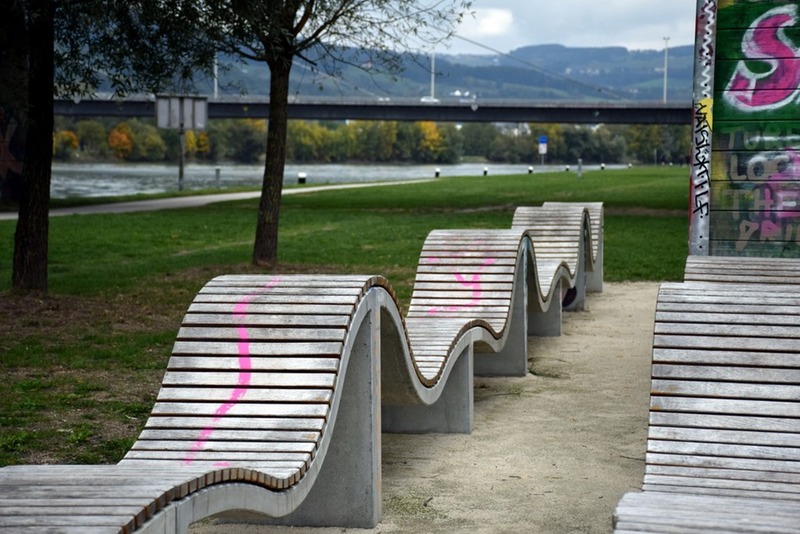 A riverfront park in Linz, Austria also provided me with some great scenery. I was “stuck” in Linz for about two weeks, and took advantage of my time there to explore both the city and the surrounding countryside. Once you get a streak going, it’s not a matter of if you’re going to run, but when and where you’re going to run. I explored the parks and paths of Bahrain (thankfully, not during their hot season! 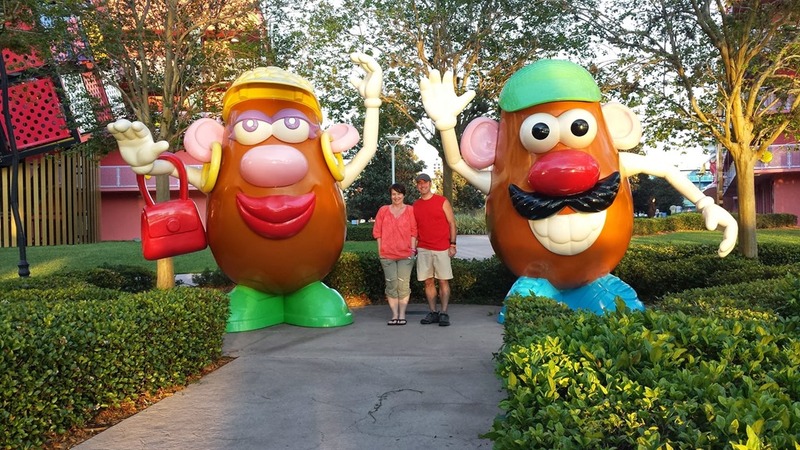 ), waved hello as I ran past a giant Mr. and Mrs. Potato-Head at the Disney Resort my family and I went to for Spring Break, and jogged across cobblestone streets in Savannah on our one night “layover” on the drive home. Of course, it wasn’t all glamorous routes that could belong on the cover of a Runner’s World magazine issue. I had countless days when I slogged through my mile (or more, when I was on a training plan) doing half-mile laps around my neighborhood at 10pm when I realized I had forgotten to get my run in that day (or had just procrastinated doing so). I inhaled a bug on one run that I SWEAR was the size of my pinky-nail, and ended up in a horrific coughing fit for the next 5 minutes. I suffered from most of the typical runner’s annoyances at one time or another (no need to go into detail, this humorous video does just fine). But through it all, I kept the streak alive, which I am inordinately proud of. I’m also proud of my TWO (that’s right, two!) half-marathons that I ran this past fall. The first was the Charlotte Thunder Road race, and after months of training, I ran a great race and set a new personal record. The second was a month later on Kiawah Island (coincidentally, the day after aforementioned bug-sucking incident). I didn’t do quite so well in that one, possibly due to the 70 degree temperatures near the finish. But finish I did! Two half marathons in one year is another new record for me, and you really can’t complain when you set a record, right? RIGHT? Some of my coworkers have asked me if I’ll keep the streak going for 2016. After all, I’m already over halfway to 730 days in a row! For now, I’m just giving them a smile and say, “We’ll see.” But between you and me – that streak is calling to me, asking me to extend it, maybe even improve it. And thinking of all the fond memories that came from doing my 2015 challenge, I feel myself caving to the power of the streak. So 2016 will be the year where I do a minimum of 1.5 miles a day, every day. After all, I streaked 365 last year – how hard can it be to keep the streak alive for another year? Anyone who interacts with me on even a casual basis probably knows that I enjoy running. Heck, my blog and email addresses let that cat out of the bag for folks who haven’t even met me! But as I joked to my friends some years back, there was a time after college when I more aptly should have used the nickname “RossUsedToRun” (despite it not rolling off the tongue nearly as nicely). Between health issues and a general lack of motivation, I had seemingly interminable periods of non-running life interspersed between bouts of training, usually for a race, after which I tended to drop the habit pretty much cold-turkey the next time something came up. Last spring was the latest of those dry spells, and my wife’s determination to run her first ever half-marathon this past December on our wedding anniversary was the impetus to get me going again. From my birthday in August until the day of the race in December, I was back on the wagon, training and loving it. We ran the race – Dee was amazing, and I? Well, let’s just say that this race set a new record for the slowest half-marathon I’ve run yet. Amazing race, I just didn’t turn out an amazing performance to match, but that’s completely off-topic and a story better left for another day. I took some time off after the race to “recover” and could feel myself sliding into another bout of non-running-Rossness. I didn’t want that, but couldn’t figure out how to change it around. I could feel myself giving in to my personal version of Matthew Inman’s Blerch. As a last-ditch effort, I decided to institute a running streak to get me over my hump and turn myself around – in 2015, I plan to run a minimum of 1 mile a day, every day, adding on extra miles as training plans call for it. The “off days” may only be a mile, (as will any day I have to travel for work), but this kind of dedicated schedule may do more for me than any normal training plan could. Three days in and I’m doing great – I’m looking forward to my runs and no Blerch in sight. Except that the streak isn’t really what is inspiring me right now. What’s got me so galvanized about running again is my tenacious little 7-year old who I invited out for a jog with me on Friday, who ended up running virtually the entire mile with a smile on her face, and who saved enough energy to “beat me” in a race to the “finish line” at the end of our second lap around the block. My daughter’s energy impressed me so much that Saturday I invited her to join me on another 1 mile jaunt around the neighborhood. This time? In the rain. 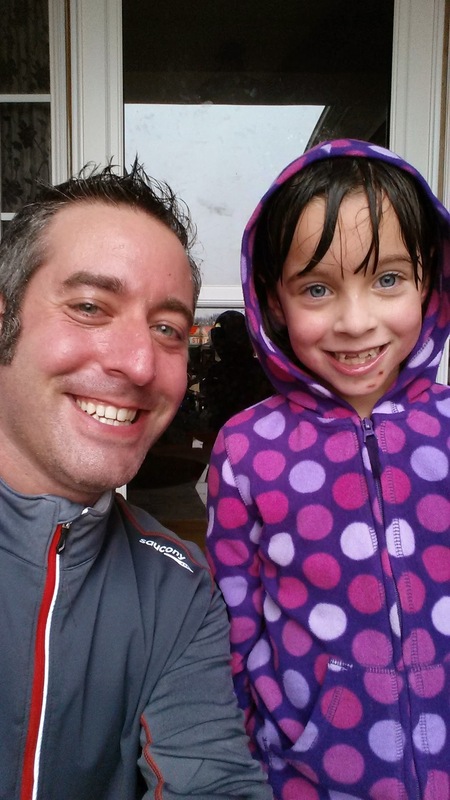 She took me up on my offer (really, what self-respecting 7-year-old wouldn’t jump at a chance to go running in the rain? ), and we geared up to brave the elements. After stepping out into the rain-shower, she giggled at the raindrops dripping off her nose. We strolled over to the corner where we start our route, and as she took off, I actually had to speed up to keep apace her churning little legs. I couldn’t help but keep looking over at my daughter, who laughed as she splashed through puddles and cut a swath through the raindrops. She ran so freely, so naturally, so happily. Her bangs plastered to her forehead, she told me, “I don’t care that it’s raining, I like it.” I agreed. Near the end of our mile, we passed a decorative shrub that she calls “The Pretty Tree”, which happens to be our designated starting line for our last 50-meter-all-out-go-for-broke-race-to-the-finish. She took off, squealing with laughter as she cut directly in front of me and forced me to slow down or tangle my much-longer legs up in her own. 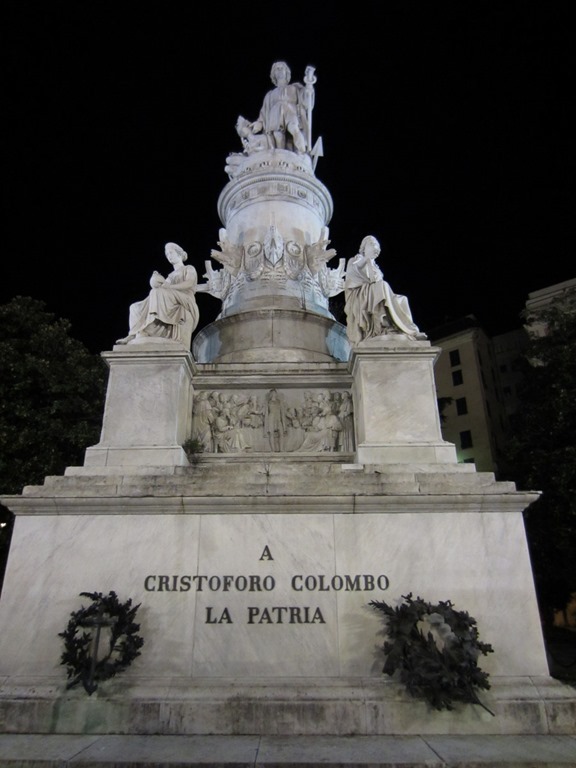 Despite my “best efforts” to pull ahead, she managed to outpace me and tap the lamp-post a single stride ahead of my reaching hand, winning our race for the second day in a row. “I told you I’d beat you,” she said. “I know you did,” I replied. As we strolled back to our house, still breathing fast but cooling down quickly in the remaining drizzle, I told The Bean how much I liked running with her. I didn’t mention how she had inspired me to get back out there and leave my lazy days behind me once again, but I’m pretty sure she’s got that one all figured out, already. Alarm Clock: WAKE UP. Or I will continue to blare Top 40 Country hits until I wake up your wife and daughters. Me: Wait, what is going on here? Me: Does that clock say 5:15? Who the hell set the alarm for 5:15? Me: Oh wait, I set the alarm for 5:15. Me: Why on earth did I set the alarm for 5:15 again? Alarm Clock: See ya tomorrow, sucker. My Body: Wait. What are you doing standing up? We should be sleeping right now. Me: I’m not exactly sure, myself. Brain, you want to weigh in? My Brain: You’ve reached Ross’ Brain. I can’t come to the phone right now, but if you leave a message I’ll get back as soon as possible. Hahahaha. Body: Seriously. Get horizontal now, or I’m gonna do it for you. Me: Wait. Running. I’m supposed to go running this morning. Body: Are you kidding? There’s no way I’m going running this morning. Actually, I don’t know why I’m even having this conversation with you. I’m going back to bed. Me: (more strongly) Just give me a minute. Nap while I stand here and think for a second. Body: Ok, get back to me when you decide to go back to bed. Me: Hold on, it’s too hot. Brain: Oof. Why am I so fuzzy? Brain: Yeah, that’d do it. Ok, drink your coffee and I’ll check back in with you in 10. Brain: Do you really need me on this run? Or can I check out until you’re done? Me: Um. As long as I’m aware enough to watch out for cars, I should be ok. Brain: Cool, yo. Catch you later! Body: WHOA. Whoa. WHOA. WHOA. What the hell are you DOING?? Me: Running. Or at least trying to. Body: Who told you that you could do that? Me: Um. I need to. I want to. I think. Body: You could have asked me. Me: You were off in dreamland. Next time, help me out when I’m trying to get up and I’ll ask for your input. Body: Yeah, like that’s gonna ever happen. Me: Asking for your input? Body: No, me helping you out. Body: I’ll have you know I’m doing this under duress. Me: I know. BELIEVE ME, I know. Body: I’m not going to like this, you know. Body: I’ll believe it when I see it. Me: Um, you like running. Body: NOT AT THE BUTTCRACK OF DAWN I DON’T. Me: Relax, relax. Look, we’re already a half-mile in to the run. Don’t you feel better? Me: Then why are you running a minute faster pace than you were when we started? Body: Because the sooner I hit 4 miles, the sooner I’m done with this running crap. Me: That’s the ticket. Stick with me, kid, and you’ll go far. Body: Yeah, not the best way to convince me to keep going. Brain: HEY GUYS! MAN, THESE ARE SOME MONDO ENDORPHINS! I FEEL GREAT! I’M FLYING! I COULD REPROVE FERMAT’S LAST THEOREM WITH NO PAPER RIGHT NOW! 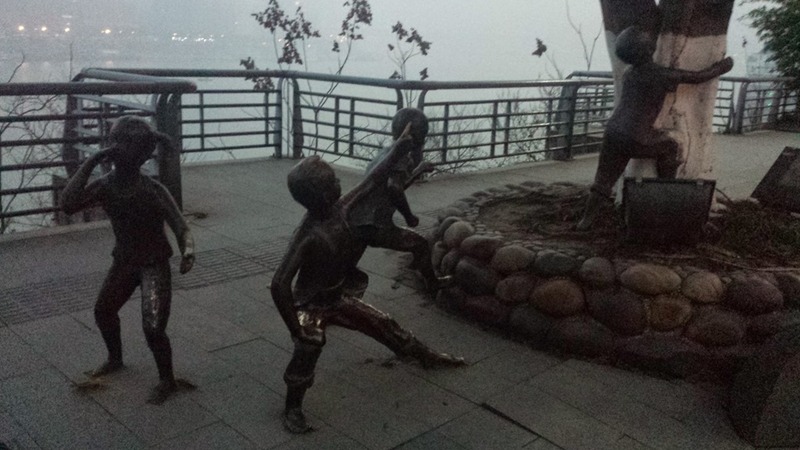 MAN, DON’T YOU STOP RUNNING, EVER! Me & Body: Shut up. Shut up now, or I will watch reruns of According to Jim until you shrivel up and are left sobbing in the deepest recesses of my head. Brain: (meekly) OK. Hey, look out for that car. Body: Um, guys – next time, can you plan a route that doesn’t involve hills? Brain: That’s sort of hard to do around here. We can minimize ’em, but unless we make laps in the neighborhood or drive over to the middle school track, it’s hard to keep it level. Brain: Laps around the neighborhood are only slightly more appetizing than watching episodes of Deal or No Deal. I will do everything in my power to sabotage you at work today if you force me to do that more than once a week. Me: Ok, ok, settle down, guys. Look, we’ll work out a compromise later. Right now though, let’s just get through this last mile and then we can move on to something a little more fun this morning. Me: How about – a shower, some yogurt, and a nice leisurely drive to work with air conditioning and some interesting podcasts to listen to? Me: *sighs* And to think I’m crazy enough to consider training for a half-marathon this fall. Body and Brain: WHOA. Whoa. WHOA. WHOA. RossRuns – or Does He? 14 years ago, I was a high school senior. I was a straight-A student, a vocal-jazz singer, a bit of a nerd, but also a clearly defined runner. Hell, my AOL account username was “RossRuns” (an affectation I have kept up through the years for nearly all of my new user accounts on various web services). I had placed 8th in the Washington state Cross Country championship meet with my 15:24 5K time, and was seeded #1 going into the state track meet the following spring regional finish of 4:20 for the 1600m. There was no doubt in anyone’s mind that running was an integral part of my life. 13 years ago, I was a walk-on to the UVA Cross Country team, qualifying with a 5 mile time of 25:25. I had taken my running to the next level, racking up between 60-80 miles a week with the rest of the squad. I competed in a couple of invitationals but was sidelined with an injury during the winter and part of the spring – long enough to red-shirt my freshman year and leave me considering whether I wanted to continue with such a grueling training schedule in light of all the other college activities I was participating in. 8 years ago, I joined many of my coworkers in the “Corporate Challenge”, a 3.5 mile road race in NY. I collapsed somewhere near/on/past the finish line (I don’t remember the finish to this race to this day). Any notions of getting back into shape through regular running left me for a good while, after that. 3 years ago, while in India, I ran on the treadmill in the gym every morning before going to the factory, for 5 weeks straight. I returned home and promptly failed to follow up with any running, whatsoever. 2 years ago, after “training” for a few months, I joined my wife in the Harrisburg NC YMCA 5K and finished 28th overall and 1st in my age group, with a 23:28 finish. My commitment to keep running ended just about the time it started to be 90 degrees and 90% humidity outdoors the following month. Last year (Feb 2010), I ruptured my Achilles tendon and after surgery to stitch it back together, was banned from running until November 2010. This restriction finally gave me the kick in the pants I needed to realize how much I was taking my own fitness and health for granted. I tentatively got back into training (as much as my poor leg would allow me) and started building up my endurance and strength again. 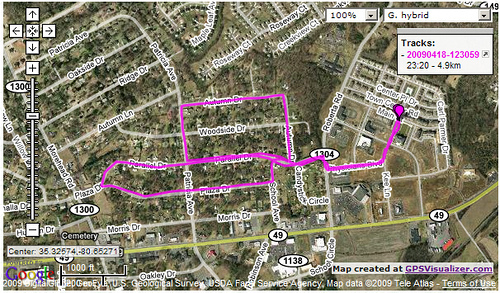 This past Saturday, I ran 5 miles (continuous) for probably the first time since my undergrad days 13 years ago. Not only that, I ran it as part of a regular training schedule, on (or ahead of) pace and I LOVED EVERY SECOND OF IT. Looking back on my running history above, it shocks me to see that the time I took off from running was over twice as long as the period where I had seriously considered myself a runner, prior to that (since Cross Country and Track in 8th grade). I never realized the excuses and the inconsistency in my running history until I seriously sat down and charted my on-again, off-again habits. I want to turn that statistic around, and proudly use the ID “RossRuns” because it is an indication that I’ve been running longer than I haven’t. Sure, I’ll have little hurdles to overcome along the way, but I feel like I’ve revitalized my running spirit and my drive to stick with it. Only time will tell, of course, but already I’ve seen incredible benefits in my own life – everything from significantly reduced cholesterol levels to mental balance and acuity to increased energy and happiness – that make it well worth my while to try to maintain this lifestyle even if I’m feeling the running shtick on a particular afternoon. I’m a Runner. I prove it by running. That’s all there is to it, and all I need to keep in mind. And in 1 year, 2 years, 5 years, 10 years, and further into the future, I hope I can look back and do another of these posts, and be inordinately proud of what I’ve achieved and what I’ve done in my running life. This was Dee's first race, EVER (excluding field-day activities in elementary school, that is). Since she's training for a triathlon in the fall, she wanted to gauge her progress with a 5k and see how far along she's come since she started her training program. Dee ended up finishing faster than she expected and she and I were very proud of her performance! This was my first race in almost 6 years. The last one involved me collapsing on/near the finish line and spending 6 days in the hospital diagnosed with rhabdomyolisis. Needless to say, I was a little nervous about how this race would fare, given my last race experience. I ended up winning an award for my placement in the race! Dee said she was really happy with her time, as it was a lot faster than her normal training pace, and set a good goal for her next race. I'm very proud of her for finishing so quickly and making so much progress on her training program. As for myself, I finished more than 1.5 minutes ahead of my goal. As I ran the race, I kept forcing myself to ease back and keep a little bit slower pace than I normally ran, but by 2 miles I was still well ahead of my goal pace, so I decided to just go with it as long as I could. As I was winding up for the last third of a mile of the course, I went ahead and boosted to my full-out kick, passing an unsuspecting runner before he knew I was there and sprinted full-out for the finish line. And because of my sprint, it turns out I ended up passing the one person who stood between me and 1st place in the Male 25-29 division! 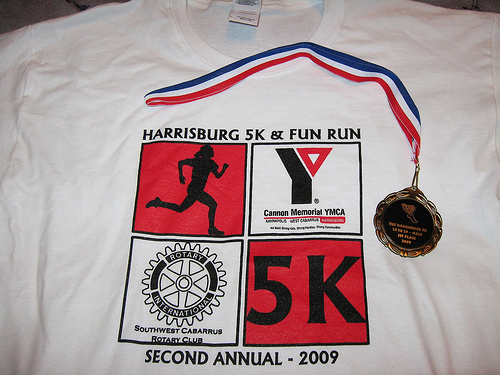 Yes, I won a medal to go with my "free" race t-shirt. Totally unexpected, but very satisfying to come back from 6 years away from any racing and feel like I was right back in the swing of things. I'm not expecting to win any awards on any future races, but I'm definitely going to keep up my regular training and try to fit in a road race here or there when I can. As I've said before, to me, the fun is in the running, not the winning. But bringing home a medal will always bring just a little bit extra of a smile to my face. I don't make New Years' resolutions, but I have been trying to make an effort to get back into running again since mid-January. I was doing really well last year and then pretty much stopped all of a sudden at the end of November. Now that my schedule has settled a bit, I'm trying to get back into running at lunchtime 3-4 days a week. I can tell it's going to take a while to get back into shape, but I am making progress and both yesterday and today felt especially good, even though I wasn't able to run at anywhere near the pace I had worked up to last year. *Ok, fine, I can totally understand that there are PLENTY of people that would see the above and not be inspired to run. 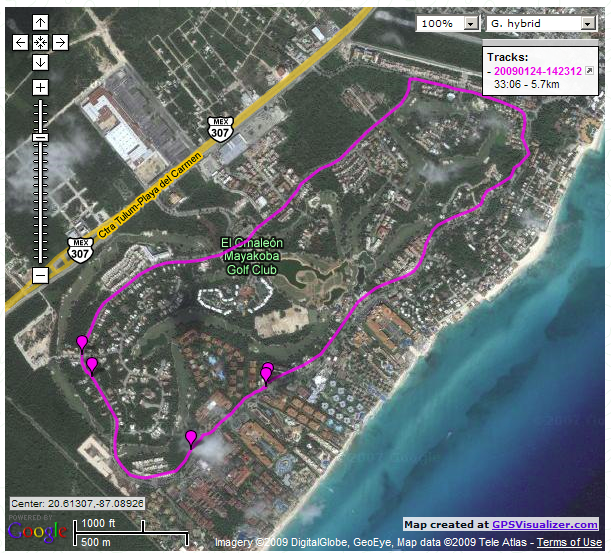 But trust me, if you were actually AT the resort, you'd be inspired to run. Or swim. Or lounge in the sun and drink the free booze and eat from the delicious and plentiful buffets. Wait, what was my point again?